This lock is designed to fit trailer hasps better. This lock fits the bigger 13/16" cam bar hasps. The lock fits over the cam bar hasp & the shackle pin is hidden behind it, out of reach from thieves. This lock features solid steel construction, is re-keyable and uses an American keyway which makes getting more keys easy. 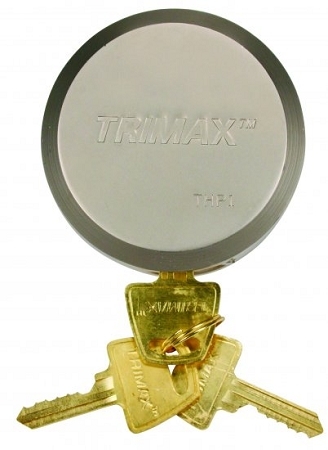 Overall, this is a great value in a high-security lock & makes an excellent theft deterrent. Multiples will be keyed alike, shipped to you by a locksmith.